Here in Virginia, a lawsuit for money in General District Court is called a Warrant in Debt. This sounds a lot scarier than it is. It basically means someone, a person or a company, is claiming you owe them money. The purpose is of the Warrant in Debt is to get a judgment. A judgment, on its most basic level, is a court order that says you owe them money. It is a legal document that gives them power. The reason people want to get a judgment is they can try more aggressive ways to collect, including garnishing wages or bank accounts. Before getting a judgement, most creditors can only call, send letters, report negative information to credit bureaus (certain creditors, such as IRS, state, federal student loans, etc. do not need a judgment to use other means to collect). 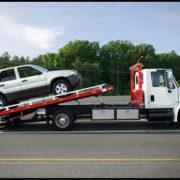 After a creditor files a Warrant in Debt in the court, you must be given notice. Most often defendants are served with the notice in two ways: personal service or posted service. With personal service, a sheriff or a process server, brings the notice directly to you or an adult resident at your home. The other way (and much more common way) you can be served is via posted service, when the notice is posted/taped to the front of your door. The creditor will also provide a mailed notice. The Warrant in Debt lays out the most basic information about the claim: the parties involved, addresses, lawyers, the amount of the debt, the reason for the claim, etc.. Additionally, the document will have a “Return Date” on the upper right corner of the document. This is the date and time that the court is setting a hearing about the debt. 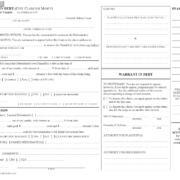 If you do not show up at the Return Date, the court will enter a Default Judgment against you. A Default Judgment means no one appeared to defend against the lawsuit, and the court entered a judgment. You have every right to attend, but it is important to understand what factors the court will consider. Often, clients who get a Warrant in Debt want to go to court and explain to the judge that they just cannot afford to pay. The judge may sympathize with the situation, he or she is not there to determine whether you can pay, but to determine whether the debt is valid or not. 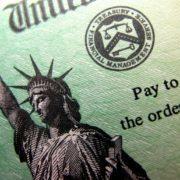 The judge at the court date will ask if the debtor or defendants owes the money or disputes the debt. If you owe the money, then the court would enter a judgment. If you say you dispute the debt, a judge will set a trial date to allow the plaintiff and defendant a chance to prove their case. At trial, the creditor will present evidence and try to prove the debt is valid. After the creditor presents its evidence, the court will allow the defendant to present any evidence to show why the debt is not valid or owed. Common defenses are things such as, statute of limitation, previous payments not accounted for, amounts are incorrect, mistaken identity, etc. The court cannot consider arguments about inability to pay. After both sides present evidence, the court will then make a legal determination. What Happens After a Judgment? If you fight the debt and win, then there is nothing else to worry about unless the creditor appeals. If you lose or you allow a judgment to be entered, the creditor can attempt to collect. Since a judgment is valid for at least 10 years (can be valid up to 40 years in Virginia), creditors may wait to collect. However, some creditors will immediately start using their rights. Creditors can collect via garnishment of paychecks, garnishment of bank accounts, a lien on property, etc. After a judgment is entered, creditors are often more difficult to deal with since they have many more rights. Stopping a garnishment is very difficult in Virginia; usually, the only option is bankruptcy. As a result, many individuals are forced to file bankruptcy after being garnished. This is why we highly recommend settling or negotiating with a creditor before a judgment is entered because you are more likely to succeed. Attorney Ashley F. Morgan is a Virginia licensed attorney. She has been helping clients deal with debts and Warrants in Debt for most of her career. She helps clients settle or negotiate debts, along with defending against certain lawsuits, and discharging debts through bankruptcy. Bankruptcy: Is it the right option for me? Many people fear bankruptcy because it means they will lose everything, or they do not want to file because someone might find out that they filed, or the client believes it is an admission of failure. These are not always correct. When someone comes into our office we try to let them know bankruptcy is not as big of a deal as they think. 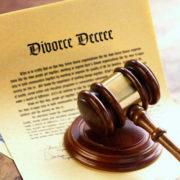 It is a legal and financial decision that must be taken seriously, but it has a lot benefits. The bankruptcy court is there to help the “honest but unfortunate debtor.” There are different bankruptcy chapters to fit different people’s needs. Some cases we see are for people that are a few months or years behind on a mortgage, or a few months behind on a car payment. In other cases you just overspent and you can’t catch up. Or even, perhaps, you just went through a difficult divorce and cannot afford your expenses anymore or have crushing medical bills. Bankruptcy can often help your mange your debt. There are four chapters: Chapter 7 (liquidation), Chapter 13 (restructuring for wage earners), Chapter 11 (restructuring for businesses or individuals with high debts), Chapter 12 (restructuring for farmers and fishermen). Most of our clients file a Chapter 7 or a Chapter 13. Depending on your situation, one of these bankruptcy options may help you achieve your goals. 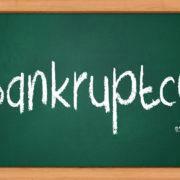 A Chapter 7 is usually what most individuals think of when they hear the terms bankruptcy. It is a fairly quick process (three to four months) and it wipes away most unsecured debt and can relieve your obligation to pay secured debts. Any liens remain on the property, which means creditors can still foreclosure or repossess the collateral if you are not current. You can qualify for Chapter 7 in one of two ways. The first way only requires that your household income is below the median for the state. The second way requires what is called the Means Test. This “test” takes your income and reviews it to see if you have any disposable income at the end of the month after taking out allowable expenses. The court allows for certain actual expenses, such as your taxes, your car payment, and your mortgage payment. 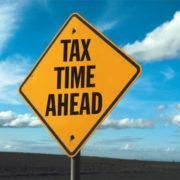 Then it allows deductions for other allowable expenses, such as the IRS standard for utilities, food, etc. If, after all the allowable deductions are taken out, only a small disposable income remains, then you are permitted to file a Chapter 7. The reason a Chapter 7 is called a liquidation is because the court will take non-exempt assets and sell them to help pay off your debt. The Court assigns a Trustee to your case to represent your creditors to review your situation and determine what assets are non-exempt. Non-exempt means that there is not a law that allows you to keep the property. Important exemptions in Virginia include: 100% protection for qualified retirement plans, 100% protection for wedding/engagement rings, and $6,000.00 equity in a vehicle (per person), $5,000.00 wildcard exemption for any cash or cash like assets such as (such as money in the bank or equity in a home). Most of my clients do not have any non-exempt assets and after four months they get their discharge and their case closes. If there are non-exempt assets, the Debtor has the choice on whether he or she wants to file a Chapter 7 bankruptcy and surrender those assets or consider filing a Chapter 13 bankruptcy. A Chapter 13 is called a wage earner plan. This type of bankruptcy is for those individuals who have steady income. We use a Chapter 13 when individuals have too high of income to qualify for a Chapter 7 or have assets they could lose in a Chapter 7. 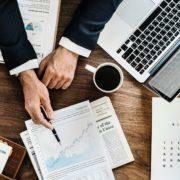 The major benefit of a Chapter 13 plan is that you get to keep all non-exempt assets because you pay out the value of those assets in your plan. The plans are usually three to five years, which vary depending on your income. The plan requires that you make regular payments to the court during the life of your plan; at the end of your plan your remaining dischargeable debt is discharged. 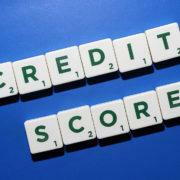 Some of our clients pay 100% back to all creditors. Even our clients that pay 100% back will often benefit from bankruptcy because the case will freeze your unsecured debts and stop them from incurring more interest. We have other clients who pay between 1% to 99% of all debt in their plans, and then we even have what we call a 0% payout plan. The 0% plans are Chapter 13 cases where you have some debt that is secured (cars and houses) or prioritized (non-dischargeable taxes, child support arrears, etc.) over other unsecured debt, and your plan pays the secured debt and the priority debt, but nothing to your unsecured creditors. One of the most common reasons for a Chapter 13 is to stop a foreclosure and then allow the debtor time to catch up on the arrearages. Sometimes we even use a Chapter 13 to help with student loans when you need to temporarily lower your payments. If your plan is anything less than 100% the court will review your income every year to see if there is an increase, which means they may require you to pay more in. Additionally, if you get a tax refund or inheritance over the next few years, you will turn over the funds over to the Court. There is a limit on the amount of debt you can have and be in these plans. These limits are unsecured debts of less than $394,725 and secured debts of less than $1,184,200, which will be updated as of April 1, 2019. 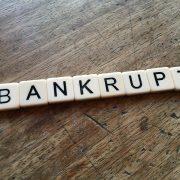 A less common option for bankruptcy is a Chapter 11. This type of bankruptcy usually is only an option for an individual when an individual cannot do a Chapter 7 and has debts over the Chapter 13 debt limits. Businesses also do Chapter 11 to restructure their business. When you hear about major companies filing bankruptcy (such as Toys ‘R’ Us or Sports Authority), they are usually filing Chapter 11. The major benefit of a Chapter 11 is that your repayment plan can be over the course of more than 5 years. However, they are cost prohibitive. It is an expensive and complicated process. The last common bankruptcy is a Chapter 12, which is a restructuring of debt for farmers and fishermen. This type of bankruptcy is very similar to a Chapter 13, but provides more flexibility in the payment structure. This is because the court takes into account the seasonal nature of the businesses. Can People Find Out I Filed Bankruptcy? As for people finding out that you filed bankruptcy, it may happen. It is not published in the newspaper and notice is not mailed out to family and friends (unless you owe them money or have a joint debt with them). It is a public court filing that can be looked up, but so this can also be said about divorce, collection lawsuits, and foreclosure. Sometimes people who were referred to our office for help with dealing with debt; they do not know that we help people file bankruptcy. After talking with us, they sometimes figure out that the individual who referred us, likely filed bankruptcy with us, too. Additionally, we have people from all walks of life who are considering bankruptcy, including people who are unemployed, individuals who have multiple properties, people going through divorce, individuals making six figures every year, business owners, and much more. We have other clients who start talking about filing bankruptcy with a friend only to find out the friend filed bankruptcy years ago. You just never know. 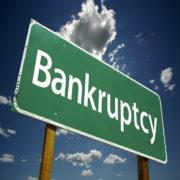 As stated before, bankruptcy is a legal and financial decision. Congress included bankruptcy as an option in the law because they understand people need help managing their debts. It is not an admission of failure; it is a way of managing your debts and taking care of your financial situation. For some, bankruptcy helps wipe away debt and allow a fresh start. For others, bankruptcy can help restructure your payments on various debts, such as your cars, student loans, IRS debt, personal loans, second mortgages, etc. People often worry they make too much money to file bankruptcy, but there is usually an option out there that will provide some relief. Additionally, even if you make a lot of money, you may still qualify for a Chapter 7 if you have high secured debt payments (car, mortgage, etc.) or court ordered payments (alimony, child support, etc.). If you will do whatever it takes to start over, perhaps you should consider bankruptcy. It is not just for the poor and unlucky. The code was written to allow various options to fit various situations. Bankruptcy is really just a tool in your financial tool box; if you are struggling with debt, it is at least an option you should look into. For many of our clients, bankruptcy is also a tool to improve their credit, and it helps them get on track for an even higher credit score. We often tell prospective clients that they do not need bankruptcy, or that they have a variety of alternatives; it is not for everyone; it does not solve every financial problem. But, you really should at least understand how it could benefit your situation. Consider a free consultation with my office; give us a call at 703-880-4881. Ashley F. Morgan, Esq. is a Virginia Bankruptcy Attorney. She helps individuals and business file bankruptcy in the northern Virginia area. She has experience handling Chapter 7, Chapter 11, and Chapter 13 cases. She also understands bankruptcy is only one of many options available to debtors. She wants to help her clients review all potential options to determine what is the best option in each person’s situation. Instead of bankruptcy, Ashley has also helped negotiate settlements and payment plans for her clients when appropriate. Visit Ashley at her Herndon, VA office to discuss options to manage your debt. https://www.afmorganlaw.com/wp-content/uploads/2018/02/9787060844_ad4e7f9384_k.jpg 1365 2048 Ashley Morgan https://www.afmorganlaw.com/wp-content/uploads/2018/01/logo.png Ashley Morgan2018-02-06 18:19:022018-03-07 14:09:31Bankruptcy: Is it the right option for me?